A traditional cheese made to the two-day curd recipe, Tasty is exactly that – tasty. With its strength it is an ideal cooking cheese as it retains its flavour. 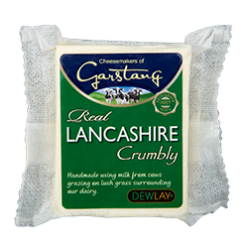 A young zesty cheese, this bright white Crumbly has background yoghurt notes and is ideal crumbled over salads or served with apple pie. Made to the two-day curd recipe, Creamy is a mellow and milky flavoured cheese that perfectly coats the mouth. A superb melting cheese. 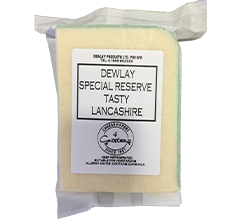 A real exclusive cheese, only the best Lancashire makes the Special Reserve mark. 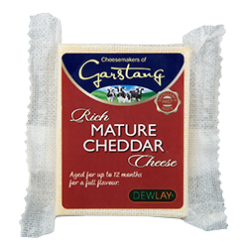 This cheese packs a punch with complex flavour and depth. A cheeseboard favourite. 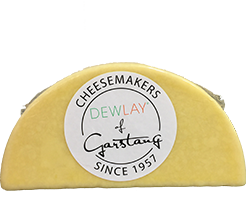 Given a protected name status, this cheese uses a traditional recipe using milk only from our local farms. 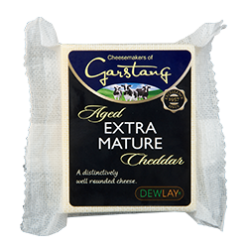 A reduced fat with 30% less fat than a standard cheddar, this cheese has great flavour and texture. A crumbly fresh cheese. Cheshire is a clean, tangy cheese with hints of lemon notes. 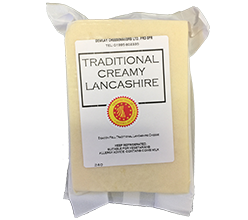 Ideal for a cheeseboard or crumbled over a salad. 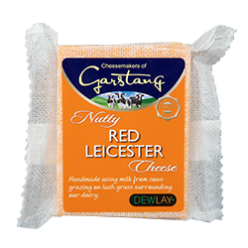 A russet red cheese, Red Leicester has a firm body and close texture. Its colour makes it an ideal cheeseboard favourite. 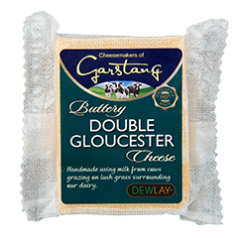 A mellow orange cheese, Double Gloucester has a smooth texture with buttery notes. It is perfect alongside a light red wine like Pinot Noir. 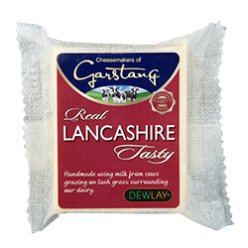 A young cheese Wensleydale has a zesty, slightly sharp note with a flaky, almost shale like texture. Ideal for serving alongside a fruit cake. 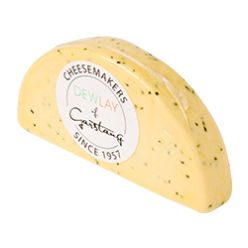 A continental cheese, this young milky fresh cheese is perfect for sprinkling over pizza and pasta dishes. 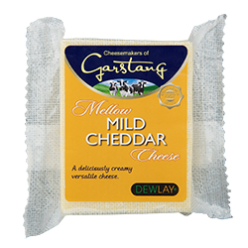 Available in white or coloured, mild cheddar is a versatile cheese that is delicately flavoured with a smooth texture. 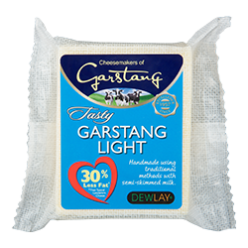 Available in white or coloured, this cheese has a firm texture and has been aged to provide a strong, mature flavour that lingers. Aged to reach its full potential, this extra mature has depth and character with lingering strength. A firm robust cheese, evidence of calcium lactate crystals can be present. 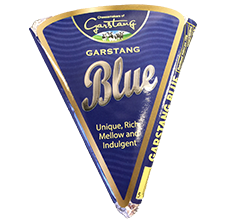 Lancashire’s answer to blue cheese, Garstang Blue is a combination of a smooth creamy cheese with a mild blue taste. This is a perfect cheese for adding to sauces, or eating with charcoal crackers. 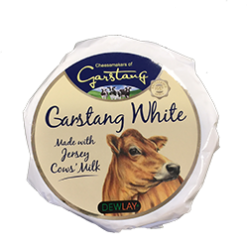 Who needs a Brie when you can have Garstang White. 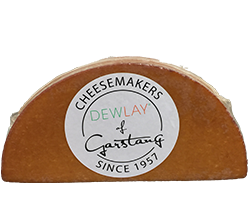 Made with Jersey milk, this cheese has rich, buttery notes. Why not try in a baker with pecan nuts and maple syrup. 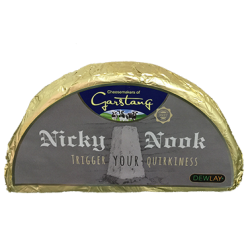 Our newest cheese to the range, Nicky Nook has a smooth texture with an indulgent blue taste with a pale orange hue. Perfect for a cheeseboard centrepiece. This mellow, buttery cheese is given a lift with the addition of spring onion and chives, making it ideal for adding herby flavours to your dish. 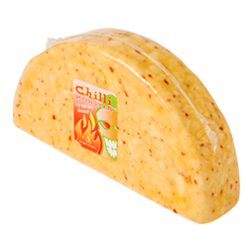 Using our Creamy Lancashire cheese as a base we add a heap of chillies – giving it a real kick. Perfect for sandwiches or melting over a jacket potato. 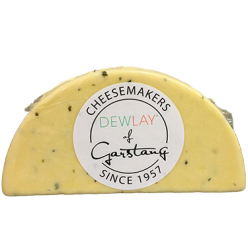 A mellow cheese with subtle notes of chives, this cheese is a cheeseboard alternative, or add to Italian inspired dishes. As soon as you smell this cheese you know it has garlic in it! 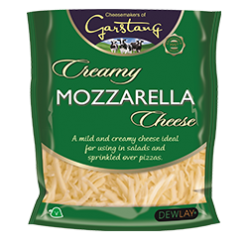 With a strong garlic flavour, this cheese is perfect for adding depth to cheesy dishes like Mac & Cheese. 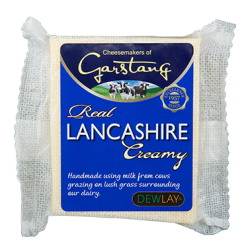 Using our Creamy Lancashire, it is oak-smoked to give it a smoky flavour that’s perfect for sauces. 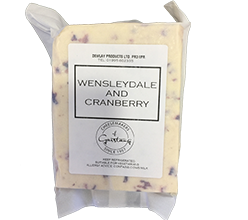 Using zesty Wensleydale cheese, we then blend in cranberries to give this famous cheese a sweet flavour. 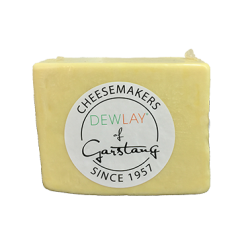 Its appearance and flavour make it perfect for a cheeseboard.